09 deg. 15.7 min. South! 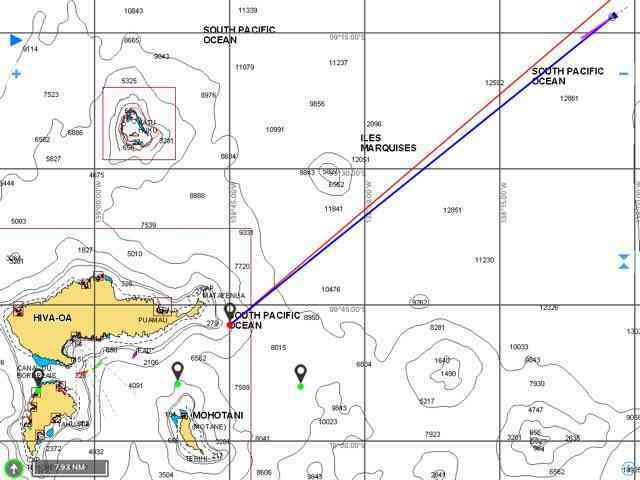 WOW, this is the day we will make landfall on the island of Hiva Oa. If you squint really hard and stare at the horizon, you'd swear you can see the island. Of course you can also see giraffes and polar bears out there. Your eyes play fun tricks on you at times like this. Just 59 miles away, and featuring a mountain top over 3000 feet high, you'd think we could see it, but not yet. It is just too hazy. But soon! We are totally stoked. Of course, from experience we know that once we do see the island it will take FOREVER to catch up to it. It usually seems like some tug boat has your landfall under tow away from you. But the way things are going, by sunset we will have finally reached the town of Atuana on Hiva Oa, completing the passage in 16 days, 7 or so hours (ever so slightly faster than the last time Moonshadow sailed here - but we're not really racing). We will continue past rounding the corner of the much smaller island of Tahuata then pull into a cove called Hanamoenoa for the night. So. Tonight we will be swinging on an anchor in a cove that everyone says is just beautiful, with a white sand beach, crystal clear water in the high 80s and a palm plantation in the valley beyond with rugged mountains behind that, toasting the end of the longest passage of our lives past and future. Quite a day aboard Moonshadow. Keep these posts coming, luv 'em and YOU two! Cannot tell you are at all excited.....LOL. Your description gave me chills of anticipation. Well done, what a rich penology of emotions! Congrats on your wonderful crossing to the first landfall. You had some issues with the boom vang and then with the auto steering. But you prevailed and made it. 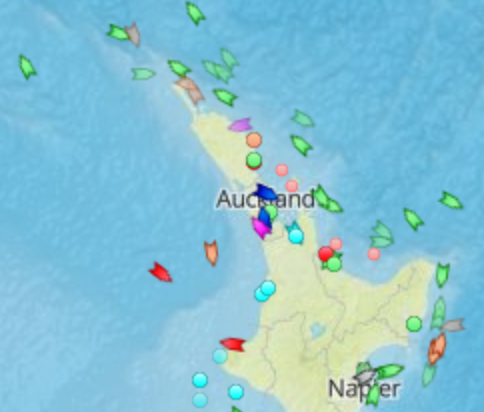 Well done you intrepid sailors. Congrats to you both from Robin and myself.